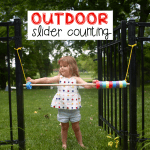 Outdoor Alphabet Match for Toddlers - I Can Teach My Child! 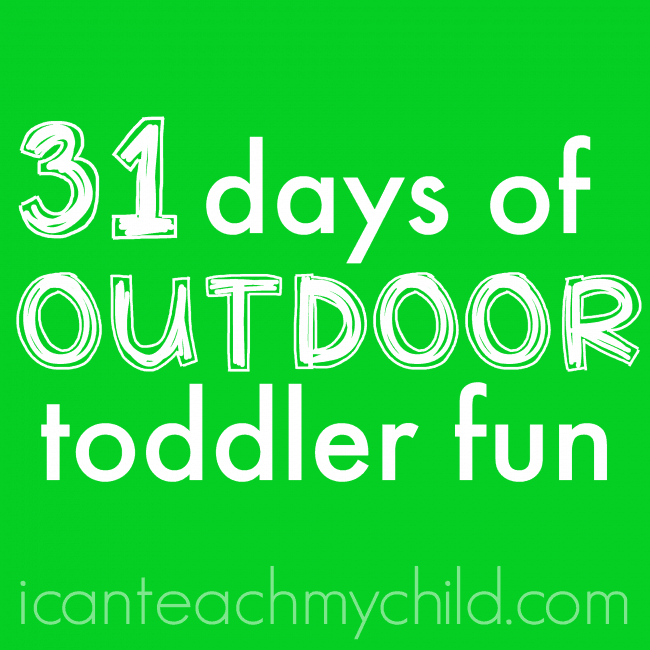 Today is Day 15 of our 31 Days of Outdoor Activities for Toddlers series. 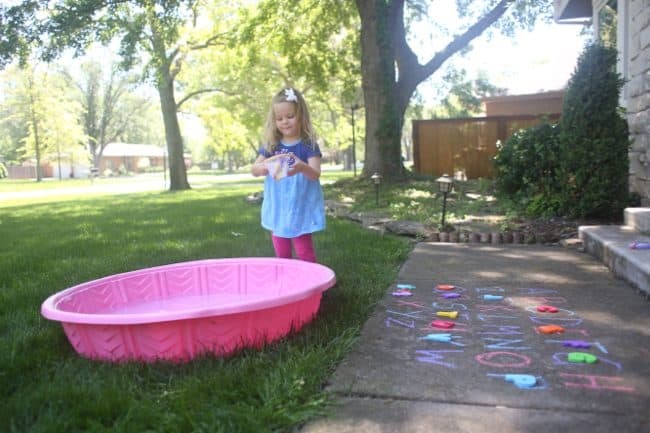 The last couple of days have involved fun and unstructured outdoor play (both in the backyard and then at the park), so today we decided to incorporate some learning! 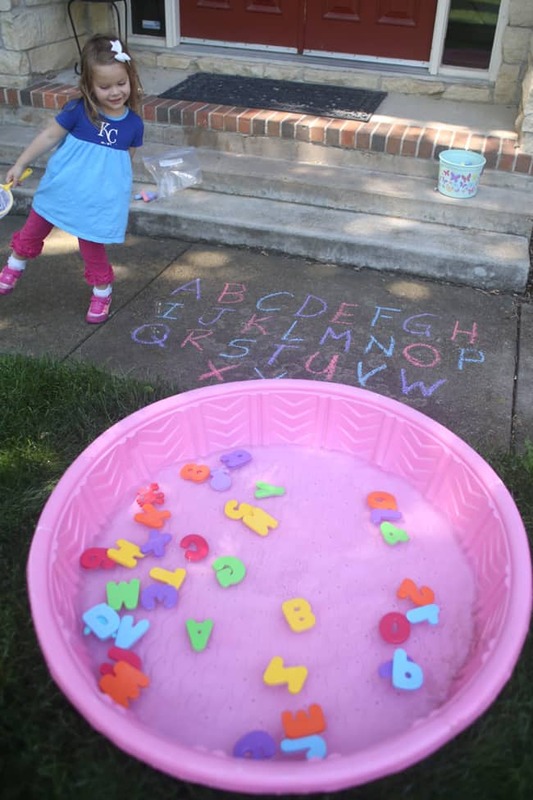 This Outdoor Alphabet Match for Toddlers was a big hit with Little Sister and I was thrilled that she was actually enjoying learning letter names! One thing that I love about the toddler and preschool ages is that you can make anything a game. Kiddos don’t even realize that they are learning because they are having so much fun in the process. This is how early childhood learning should be: play-based and engaging while seamlessly woven into the tapestry of a regular day! 1. 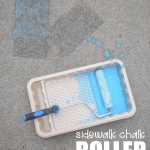 Use the chalk to write the letters A-Z on your sidewalk or driveway (if your child is already familiar with capital letters, change it up and write lowercase letters on the sidewalk). 2. 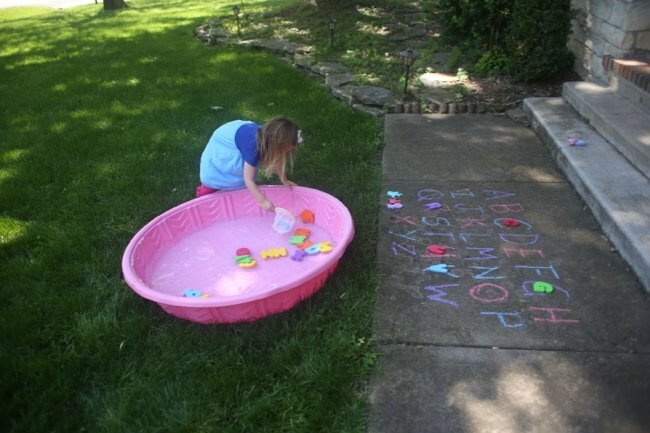 Fill your baby pool with water and dump in the bath letters! 3. 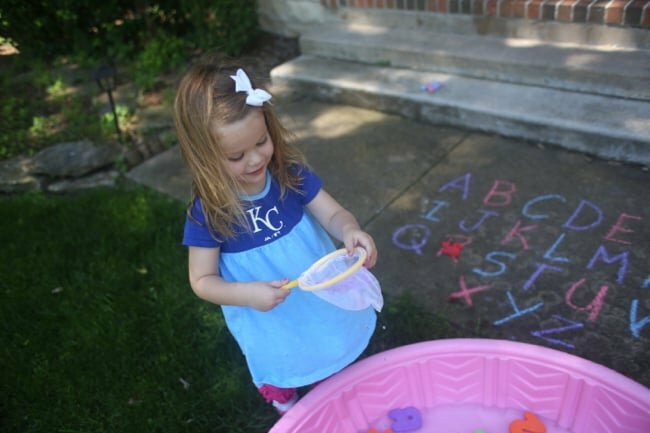 Give your child the net and let him/her go fishing for letters! 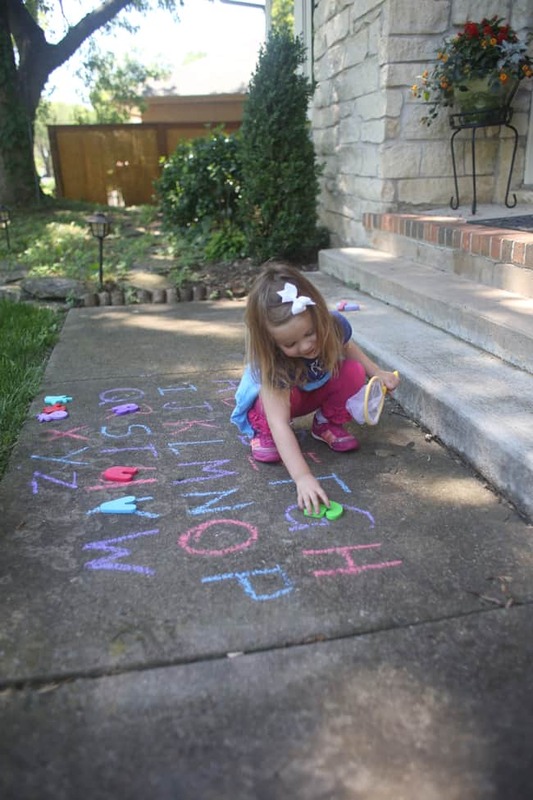 Then have your child match the letter in the net to the letter on the sidewalk. 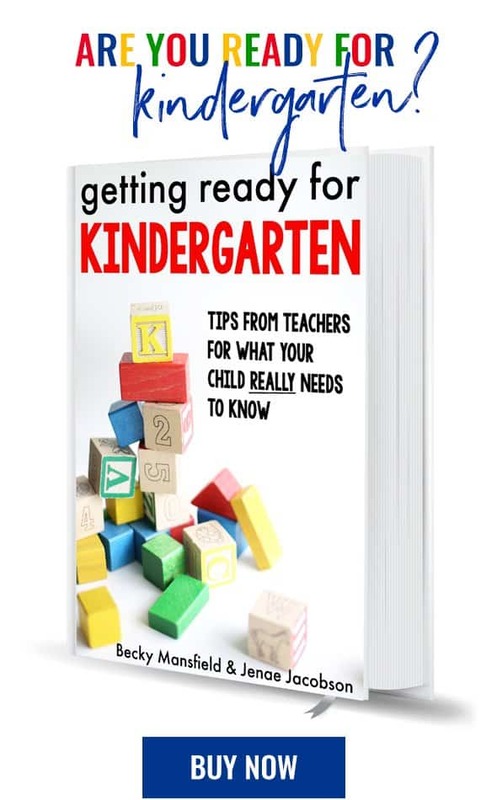 Be sure to talk about letters sounds too! Keep going until all the foam letters have been matched to the letters on the sidewalk.